The music was quite good, actually. Being a worship leader myself, I was naturally curious. After further inquiry with the pastor, I found that the church hired out the worship team and leader from a big city nearby. Every week, they served the church as a paid worship band. You can understand the predicament: a fledgling church with few members doing its best to strive for excellence. However, I cannot help but feel a twinge of sorrow at the prospect of local churches outsourcing their worship leaders. Perhaps what unsettles me most is what it reveals about the heart behind our worship services. What are we proclaiming to our people as most precious in our times of congregational worship? Listen to the conversations afterwards. Do they revolve around the ability of the preacher? The skill of the instrumentalist? The beautiful voice of the singer? More than anything, I want our people to leave worship mesmerized by the God who not only saved them, but sustains them, and walks with them moment by moment. Have you ever been to a wedding that was hijacked by an unruly ring bearer? Our attention is pulled away from the central purpose of the event. What is supposed to be the focus of our corporate worship? First Chronicles 16:29 exhorts us, “Ascribe to the LORD the glory due His name; Bring an offering, and come before Him; Worship the LORD in holy array.” Anything that draws our eyes away from the Lord is a distraction–even musical excellence. It sounds weird, but whenever I write an arrangement my constant internal struggle is this: “How excellent should we make this?” Regularly, I find myself simplifying some impressive worship sets midweek because I fear it may actually distract the congregation from our Lord Jesus Christ. Now, don’t misunderstand me. I am extremely thankful for excellence in preaching, in communicating the glorious truths displayed through communion and baptism, and in humble and skilled musical leadership. I also understand that not everyone who can sing or play the guitar can lead us in worship. Perhaps what I’m trying to argue is for us to define excellence differently. For many of us, excellence means skillful. True, there is a level of skill required to lead musically, and yet mere skill does not make worship excellent. Some of the most moving times of worship in the life of our congregation happened on days our worship band made glaring mistakes! Some of the most glorious singing has happened when instrumentalists cancelled last minute. One poignant service, the power was shut off and we sang unto the Lord with gusto, flashlights, and hymnals. Truly excellent worship has it’s existence not in the accompaniment but in the heart that’s been regenerated. It engages the Spirit that has been placed into someone who was once dead in their sin. In short, it summons believers to encounter the risen Christ. 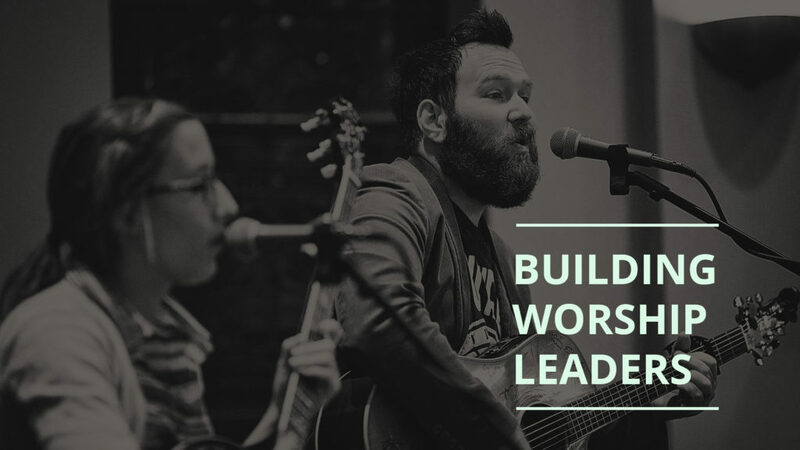 Rather than outsourcing singing and music to professionals, allow me to propose a better way: the faithful, patient labor of building worship leaders in house. Indigenous musicians and worship leaders are foundational to excellent worship in a local church. Think of it this way: worship leadership is an extension of trust. Sunday after Sunday, the congregation says, “We trust you to lead us; we are following you,” and the leader responds, “You can trust me with this role, and I will care for our worship.” When a church gathers musicians and leaders from her own pews, the hearts of brothers and sisters are being further knit together. The congregation sings with leaders who have been a faithful part of small groups, mission trips, funerals, and weddings. Members follow the voices of those who have wept with them and rejoiced with them. The church lifts its voice to the accompaniment of band members who have testified to the majesty of Christ plainly before them in their daily lives. Won’t training musicians and leaders from my congregation take time? And won’t it be difficult? Sure. But you’re in it for the long haul, right? An excellent worship team is an admirable goal, but don’t miss the benefits of the road getting there. What joy I’ve found in developing musicians in my local church and training them up in the worship ministry! What direction and aid I’ve found in learning from older members who have instructed me. A worship team discipled from your own church body will minister to their brothers and sisters exponentially better than outsourced strangers. Be patient. When musicians are less skillful and growth seems slow, remember that true worship isn’t dependent on drums or guitars or amazing vocals. Mature believers can worship in any setting because the truths we sing of and the God we sing to are too glorious to remain silent. Small churches, don’t be deceived! Excellent church growth won’t come through that bodacious sound system you pine for. God-glorifying worship–worship that directs all eyes to Christ–begins with “a broken spirit and contrite heart” (Psalm 51). Lead your churches in humility. Teach them gospel truths with zeal. Then, encourage them by placing musicians and leaders in front of them that are known by the church to be faithful Christians. I pray that in this you would see the fruit of a covenant community whose members share each other’s burdens, admonish and rebuke each other, encourage and build one another up, and who gather together as a spiritual family to worship our Lord and Savior Jesus Christ. Do this and your worship will be excellent in all the right ways.